When people think of pirates, they often think of notorious, swashbuckling, seafaring men and women constantly searching for treasure – buried or otherwise – and meeting and fighting other pirates sailing the seas. Pirates come in all shapes and sizes, and each has his or her own reason for taking to the seas and doing some plundering. They go through exciting journeys in varied locales, and meet so many interesting people along the way. 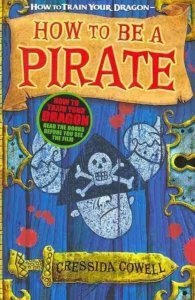 Perhaps because of the sheer adventurous quality of so many pirate stories, books, movies, and games about pirates still continue to appeal to a broad audience today. And that audience, of course, includes the young adult/teen readers. 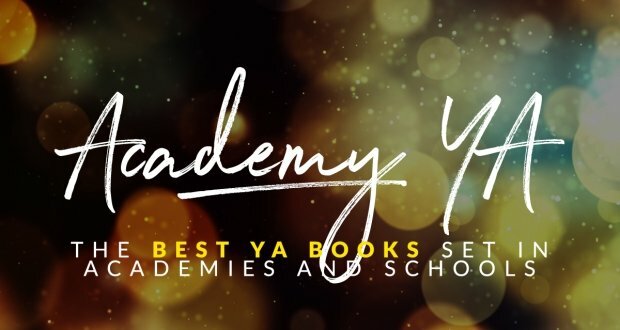 Now before we go through a list of some of the best pirate books for YA/teen fiction readers, I’ll start by saying that there is a lot of pirate books out there, and it’s nearly impossible to cover them all. 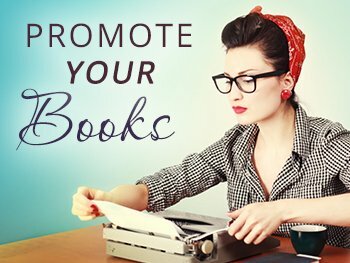 That said, we also acknowledge that lists of any kind will be inevitably incomplete – perhaps your favorite will be left out, or a great pirate book series was not mentioned – so don’t fret! If your favorite isn’t on the list, share it with us! 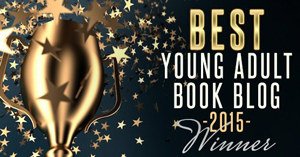 Alright, now here’s a list of some of the best pirate books for YA/teen fiction readers! This epic list includes different sorts of pirates – from your traditional swashbuckling heroes, to pirate romances, to a novel about a real-life pirate. 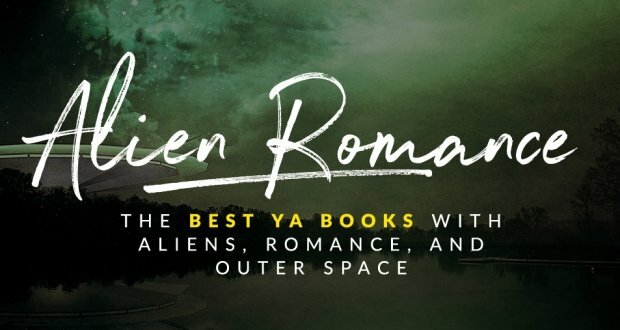 There’s bound to be a good YA/teen pirate book for everyone on this list, so if you find something that interests you, don’t forget to add it to your list of books to read! 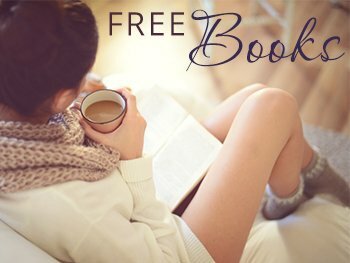 Two young women – one a plantation slave, the other a rebellious English girl who’s sent away to marry someone – meet under unusual circumstances and resolve to set each other free from their present situations and undertake a dangerous – but free – life as pirates. Kestrel has magic powers, and in a world where anyone with magical powers must be torn away from what she’s known and trained under the Danisoba, she has to keep her abilities hidden if she wants to stay free. Orphaned, she lives first as a street urchin, and then serves as a tavern maid before she escapes to the sea, where the water negates her magic. 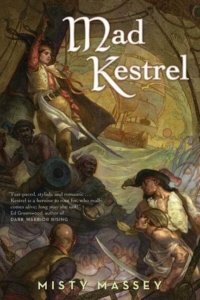 It while sailing the seas that Kestrel’s life changes, when she encounters a black ship and meets its handsome rogue of a captain. 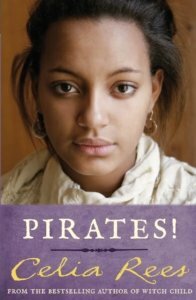 The famous teenage pirate Emer Morrisey is on the verge of escaping the life of a pirate, with her riches and her true love. 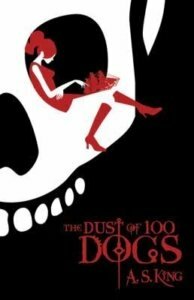 But Emer is slain and cursed with the “dust of 100 dogs,” and she is forced to live a hundred lifetimes as a dog before she can return to her human form again. 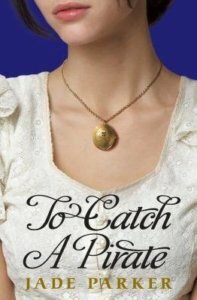 Several centuries in the future, Emer, who lived in the seventeenth century, is now living in modern-day America, and needs to escape to Jamaica. 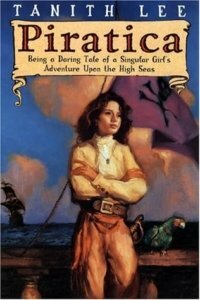 Ananna, a girl of the Tanarau, abandons her ship when she is forced to marry someone from another pirate clan. She dreams of captaining her own ship, and knows she cannot do it if she’s married. But escaping has a catch, as the pirate clan sends an assassin after her. 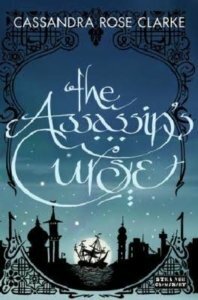 When the assassin Naji finally gets to her, a life-altering curse is triggered, and both have to work together to get back to their normal lives. Orphaned twins Conor and Grace defy expectations and set sail instead of allowing themselves to be adopted. They go to sea with their late father’s sailing boat, but it gets caught in the storm and capsizes. 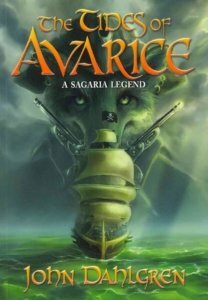 The twins get separated, and each is rescued by mysterious ships. Conor finds himself on a pirate ship, and soon undergoes training with a cutlass. 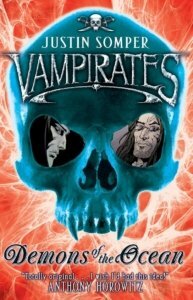 Grace, meanwhile, is locked in a room, in a ship full of vampirates. The twins are determined to reunite, but they are about to embark on the biggest journey yet. 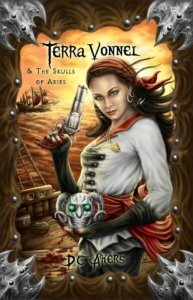 Terra Vonnel is a seventeen-year-old pirate, and famous for being known as the Sea Vixen. She has found the mysterious Skull of Aries, and must get the other skulls from her enemies to unlock the Gate of Monticule, behind which is the Orb of Time. What Terra and her crew do not know, however, is that something lies in the shadows along their journey – something unimaginable. Jill, a sixteen-year-old girl, is an expert bladeswoman and has fought in many fencing tournaments, but has never held a sharpened blade before. But when she picks up a rusting part of a sword along the Caribbean beach, she keeps it for herself. Little does she know that this piece will take her through time and transport her to a pirate ship, where she is forced to sign up with the pirate crew. 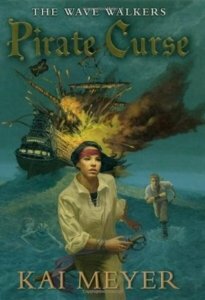 The life of a pirate is dangerous, and as Jill learns more about the magic that sucked her into the past, she tries to formulate a plan that will hopefully get her home. 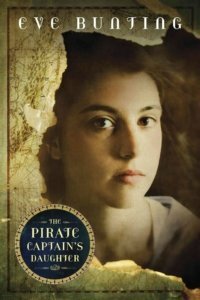 Fifteen-year-old Catherine learns that her father is a pirate, and captains the ship Reprisal. 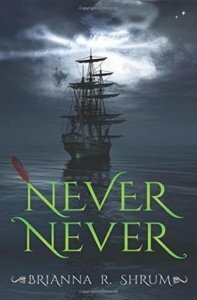 Determined not to live with her aunt in Boston, she dreams of sailing the high seas, and eventually convinces her father to take her on – but disguised as a boy. She knows that the life of a pirate is brutal, and this is why she keeps the secret of her identity as close – and as guarded – as possible. If her secret is revealed, punishment is inevitable. The Cooke and the Hood families have always been rivals since the days of the Spanish Main. It is already the year 2004, but their rivalry has not ceased, and this threatens to blow up further when an old treasure map is discovered. But accountant Morgan Cooke does not care for this fight – until his father Isaac kidnaps him and forces him into their world. Waking up in the middle of the Caribbean, he finds out that piracy is still a big business. A life of adventure awaits Morgan, who decides that he’d like to live the adventurous life of a pirate. A beautiful, seventeen-year-old girl finds herself on board a pirate ship, where she meets a mysterious, dark-eyed pirate who may just make her fall in love. 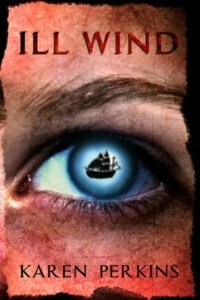 Captain Charles Johnson is forced to reside at a small inn when strong winds buffet his boat off the coast of Nova Scotia. There he meets Jim and Jim’s mother, the owner of the inn. He becomes an asset to the business, helping out with the inn’s affairs and changing Jim’s family’s fortune. 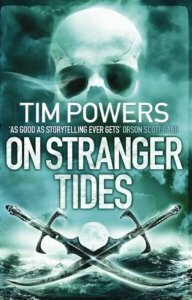 But Jim suspects that Charles Johnson is not who he seems to be, especially since his tales of sailing with pirates sound so vivid, and since he seems to know more than he should. 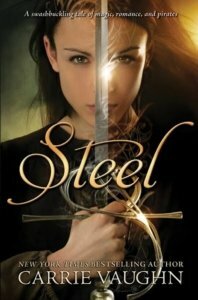 It is 1638, and fourteen-year-old Gabriella Berryngton dreams of escaping a life with her ambitious, relentless, bitter stepfather and journeying into unknown lands. Her dreams come true, but only when her stepfather sells her and gives her hand to someone in marriage. She finds a new life on board the ship Freyja, and thinks everything will start getting better – until she is given her own slave, Klara, and finds out that her father-in-law is actually a slave-driver. Her soon-to-be husband is disinterested, and soon Gabriella discovers that her life won’t be better, and her only consolation is her developing friendship with Klara. 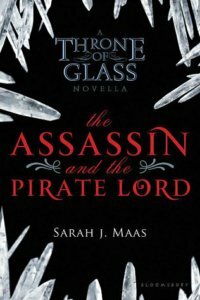 Assassin Celaena Sardothien has been sent by the Assassin’s Guild to the Lord of the Pirates, to collect debt. 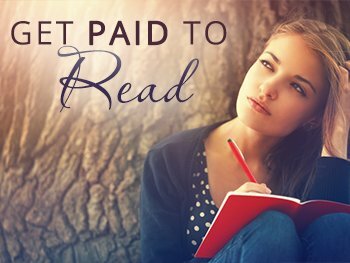 She discovers, however, that the debt is to be paid in slaves and not money, and so Celaena does what is proper – to right the wrong she’s been sent to do. 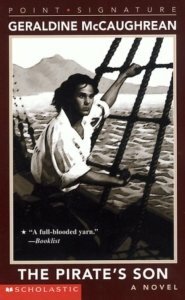 A classic, and one of the most popular pirate tales of all time, the book follows the story of young Jim Hawkins, who serves as a cabin boy on the Hispaniola, as the ship goes on a journey through the Spanish Main and is later rocked by a mutiny led by Long John Silver. Sylvester Lemmington has read about some dangerous and amazing people and creatures, from cannibals, to jungles, and even to spaceships. But he never thought he’d encounter some of them in his lifetime. Now he has to save his sweetheart, her mother, and the friends he’s met along the way, and escape the terrifying pirate captain Terrigan Rustbane, after Sylvester accidentally receives a sought-after treasure map – the one that Rustbane owns. 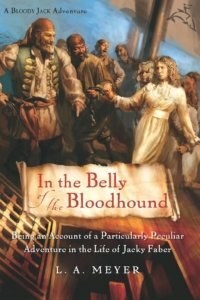 Jacky and her classmates from the Lawson Peabody School for Young Girls are abducted and put on the ship Bloodhound, which is bound for the slave markets along the Barbary Coast. Jacky must put her skills to the test, to save herself and her classmates from their dire situation. Jade is an Emmia – a girl with magical blood, responsible for keeping the soil of her land fertile, and keeping her people safe. Her life takes a turn, however, when pirates steal an important magical medallion from her, causing the prince she loves to sentence her to death. 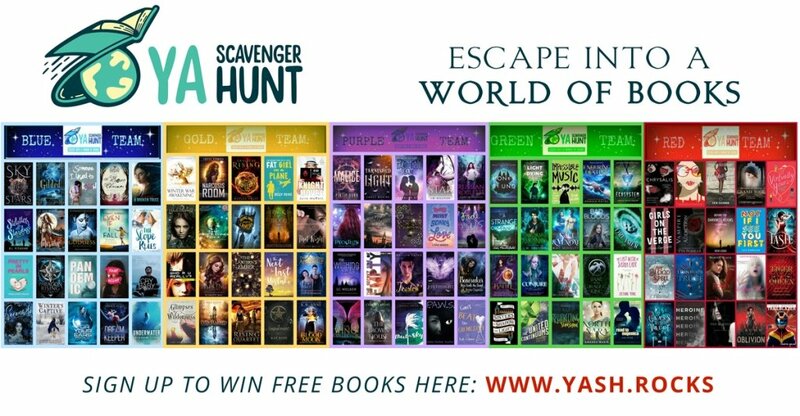 Finding no way out from the predicament, she escapes from her homeland to find the pirate who wronged her in an attempt to retrieve the medallion. Meanwhile, her escape puts her sister in danger. 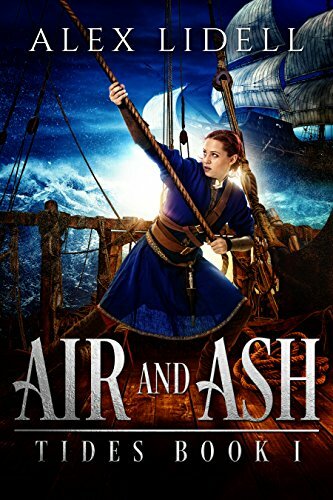 Jade must find a way to accomplish her mission, but all the while she discovers that the kingdom she left – and the pirates she’s met – are not what they seem to be. 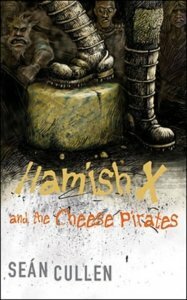 Hamish X is detained at a factory where children make blue cheese in order to earn their keep. Highly unsatisfied with this life, Hamish X plans to escape, along with his friends Parveen and Mimi. But when the factory is attacked by a gang of pirates, Hamish X’s plans change, and his goal now is to save the orphans and fight the pirates, alongside Mimi and Parveen. Jon Sinclair lives with his grandparents, who both have a knack for time travelling. Jon has already traveled through time with his grandparents on board the capsule called the Carousel, and now Jon and his grandmother are traveling back in time to July 4, 1776, the day the Declaration of Independence was signed. The Carousel malfunctions, however, and they emerge at a different time and place altogether – Jamaica, 1692. 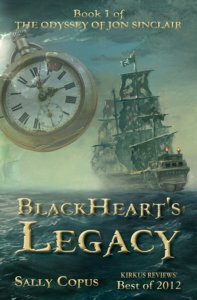 While Jon’s grandmother fixes the time machine, he wanders off – only to be kidnapped by the notorious pirate BlackHeart. Now Jon is made a cabin boy, and must do his best to survive while his grandparents search for him. Puppeteer John Chandagnac is on board the Vociferous Carmichael. 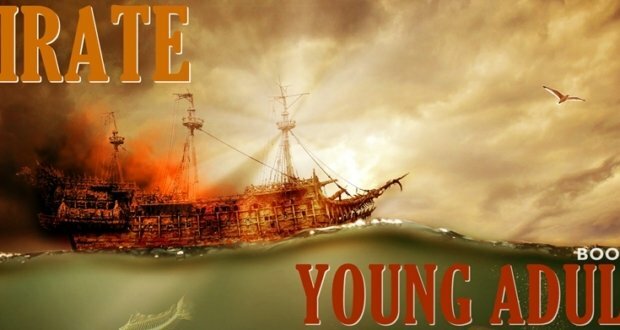 Sailing towards Jamaica to claim his birthright, he is attacked by pirates, but is offered a choice by the captain, Phil Davies: either he join their pirate band, or he die. So John agrees to join, and assumes a new name – John Shandy – as he starts his new life as a pirate. But little does John know that this is only the start of stranger things to come, as he will face evils and meet Blackbeard. Nix’s father owns a ship called The Temptation, which allows him to travel anywhere – even through time and space. All he needs is a map. And now her father has managed to find a specific map that will take him to a specific time – 1868, Honolulu, right before Nix’s mother died giving birth to her. Now Nix’s entire life hangs in the balance, as her father attempts to reunite with her mother, potentially undoing everything that Nix has ever been, is, and ever will be. Artemisia Blastside plans to escape from the Angels Academy for Young Maidens, where her tyrant father has sent her. All she wants is to return to the life of a seafarer, which she shared with her late mother, who was killed by a cannon blast six years before. 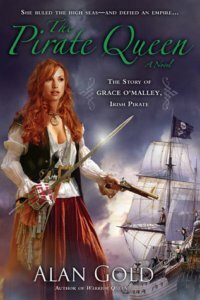 This book tells the story of the pirate Grace O’Malley, who once owned a dozen ships and commanded thousands of men. Her life is intertwined with Elizabeth I, whom O’Malley defied. Jolly is a polliwog, a child who can walk on water. She’s the last polliwog alive, and an important person to the pirate captain who had raised her. 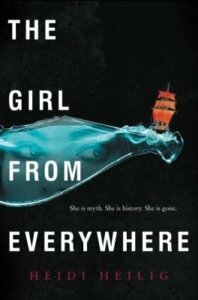 But when her captain’s ship is captured, Jolly is the only one who manages to escape, and finds herself on an island where a farming family and their ghost workers live. The farmers have a son called Munk, who also happens to be a polliwog. When Munk’s parents are killed by a mysterious, evil threat from the sea, Jolly and Munk go on a journey to stop this threat, and avenge their loved ones. 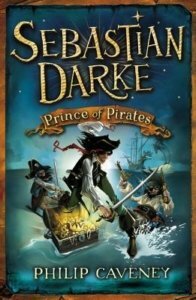 Sebastian and his companions Max and Cornelius are off to the port of Ramalat to start a perilous journey, searching for the long lost treasure of the Pirate King Captain Calinestra. The way to the treasure is not easy, however, as they have to go the mysterious forest of Geltrane, and survive their meeting with the enchantress Leonora, who has a hold on Sebastian’s senses. There are also other pirates, a lot of ravenous sea creatures, and giant lizards – all standing in the way to the lost treasure. James Hook meets Peter Pan, who takes him on a holiday in Neverland. But Neverland, a place made by the dreams of children, is not as easy and as whimsical as James thought it would be. Soon, James only wants to go home and to grow up, but Peter won’t let him grow up, and so James – torn away from everything he holds dear – is forced to stay in Neverland. But there, in the land where children remain children, James Hook grows up. 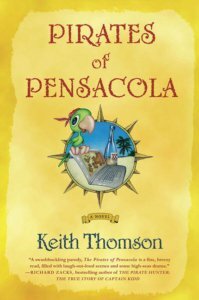 Orphans Nathan and Maud are offered refuge and a new life sailing the seas, when they meet Tamo White, the son of a pirate. Barred from the sea and facing a political marriage, Nile masquerades as a common sailor on the first ship she can find. With a cowardly captain, incompetent crew, and a cruel, too-handsome first officer intent on making her life a living hell, Nile must hide her identity while trying to turn the sorry frigate battleworthy. Worse, a terrifying and forbidden magic now tingles in Nile’s blood. If anyone catches wind of who Nile is or what she can do, her life is over. But when disaster threatens the ship, Nile may have no choice but to unleash the truth that will curse her future. To save her sister from starvation and hold on to her relationship with Calev—the high-caste friend she secretly loves—Kinneret sets out for a lost island of silver. But when a madman enslaves her sister, Kinneret must make a deal with the local ruler: Help the leader find the island and secure the ruler’s place in history. In return, the leader’s fighting sailors will rescue her sister. 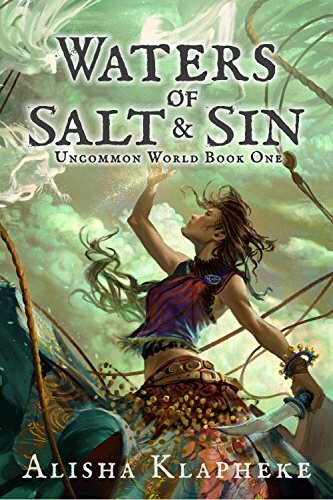 Using Salt Magic to navigate cursed waters, Kinneret and Calev struggle to hide their taboo, caste-breaking feelings for one another, knowing if the ruler witnesses the attraction, she’ll cancel the agreement. But when Calev makes a terrible mistake, Kinneret must choose between the life of her only remaining family member and saving the boy she loves from a traitor’s death. That’s it! 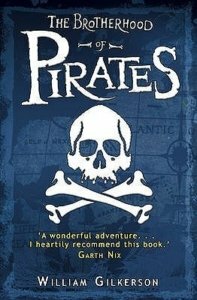 It’s a pretty hefty list, and one that will hopefully satisfy your hunger for excellent seafaring, swashbuckling pirate tales. 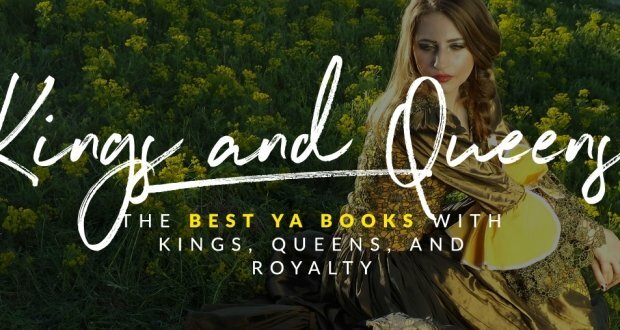 There are, of course, a lot of other excellent pirate books that are not on this list – so if you know some great pirate books for teens and YA readers, let us know in the comments!